Miguel Eulogio Lujan, 64, passed away January 18, 2019. Funeral service will be Thursday, January 24,2019 at Abilene Funeral Home's Chapel of Hope, with Pastor Ezekiel Pecina officiating. Burial will follow at Abilene Municipal Cemetery, directed by Abilene Funeral Home. Mr. Lujan was born January 09, 1955, in Lubbock, Texas to Eulogio and Alice Lujan. He lived in Abilene for most of his life. He was a member of Life Church, where he played the drums in the Praise and Worship band. He loved playing music, it was his passion and he had many musicians as his friends. 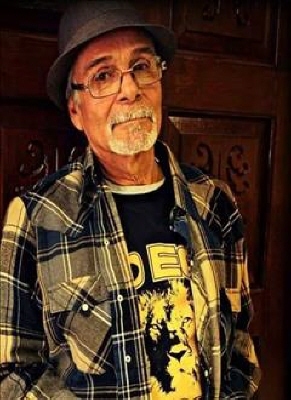 Mr. Lujan was preceded in death by his parents Eulogio and Alice Lujan, a brother Robert "Bobby" Lujan, a sister Gloria Lujan Gonzalez, and a nephew Michael Rodriguez. Survivors include his wife Rosie Lujan of Abilene, son Marcus Ray Lujan( Shannon) of Hawley, daughter Raena Anita Lujan (Chris Alessio) of Abilene, sister Victoria Rodriguez of San Antonio, a nephews Libirio Estrada and Angel Gonzalez, and niece Zolay Gonzalez. He also had six grandchildren and one great grandchild and a host of extended friends and family members. The family will receive friends at a visitation from 6-8 on Wednesday, January 23,2019 at Abilene Funeral Home Inc..
To send flowers or a remembrance gift to the family of Miguel Eulogio Lujan, please visit our Tribute Store. "Email Address" would like to share the life celebration of Miguel Eulogio Lujan. Click on the "link" to go to share a favorite memory or leave a condolence message for the family.